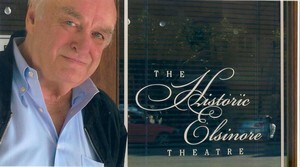 Downtown property owner Roger Yost has been elected president of the Historic Elsinore Theatre board of directors. Other officers elected by the Elsinore board are Dr. David Holloway, chief medical officer of Salem Hospital, vice president; J. R. Aguilar, Portland General Electric, treasurer; and Attorney Jonathan Bauer, of Parks, Bauer, Sime, Winkler and Fernety, secretary. Suzi Bicknell, executive director of Go Downtown Salem, and Tyler Friesen, an attorney with Saalfeld Griggs PC, were elected to the board to replace retiring board members Gerry Thompson and Dennis Miles. Victoria Shinn, vice president of U.S. Bank, Kimberly Mounts of Oregon Private Health Partnerships, and Peter Chamberlain of Chamberlain Financial services round out the board for the 2010-11 term. 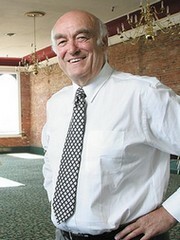 Yost owns the Reed Opera House, Capitol Center office tower, the Vick Building and his restaurant building is occupied by the popular "Old Spaghetti Warehouse". He is the immediate past president of Go Downtown Salem! and a member of the Travel Salem board. QA Properties President Roger Yost received one of two Heritage Enterprise Awards presented by the newly merged Mission Mill Museum and Marion County Historical Society April 8 at Mission Mill. 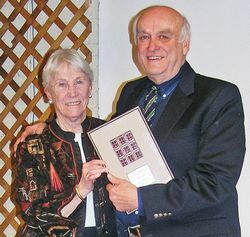 Now known as the Willamette Heritage Center, the neighboring organizations combined their annual awards to honor those leaders and organizations who have significantly contributed to the Salem community’s cultural heritage. She said: “Roger leads Go Downtown Salem in its efforts to make Salem the cultural heart of the Mid-Willamette Valley . . . and has also been a leader by promoting the arts in Salem through his support of Artists in Action and the Salem Art Association; creating annual art scholarships at Salem high schools; by establishing the largest international art gallery in the Northwest, and hosting CASA of Marion County’s annual Art with a Heart auction. Carl Crowell and Michelle Ing of Crowell Ing, LLP, received the other Enterprise Award for their support of the Heritage Awards and Teen Interpreter Program and other community enterprises. Prior Heritage Enterprise award honorees included the Statesman Journal, Pendleton Woolen Mills, Portland General Electric, Pioneer Trust Bank and Salem Electric.